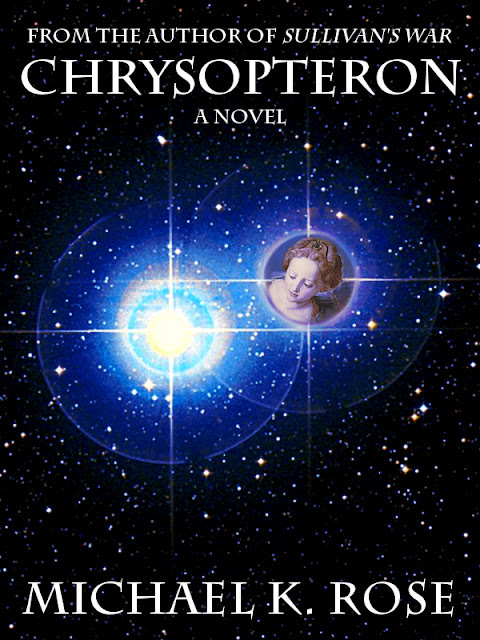 Today officially kicks off the blog tour for my new science fiction novel Chrysopteron! I'm very excited about this, and I have lots of great interviews and guest posts to share with you over the next couple of weeks. Everything kicks off with David Bain, horror author of the novels Gray Lake and Death Sight - A Will Castleton Novel, as well as fun novellas like The Cowboys of Cthulhu. He interviewed me over on his blog and you can read it here. If Chrysopteron sounds like something you'd enjoy, you can get it as an eBook from Amazon's Kindle stores as well as Barnes & Noble's Nook store. Click here for links and more information. Also remember that Sullivan's War and my collection Short Stories are just 99 cents each until the end of the month. Info about that can be found here.